Glow bowling, billiard, event and meeting services, sauna and tasty food! We are located at Flamingo (Vantaa), Sello (Espoo), Vuokatti and Saimaa. There's nothing more fun than glow bowling with great friends. BowlCircus has truly renewed the Finnish idea of bowling and bowling alleys since 2008. Entrepreneur and top-level bowler Kimmo Lehtonen has had a goal to make glow bowling a fun spare time activity for all people. No certain age or gender is required – bowling is for everyone! You can also find several high quality pool tables, modern sauna deparments and representative conference facilities from all our bowling centers. 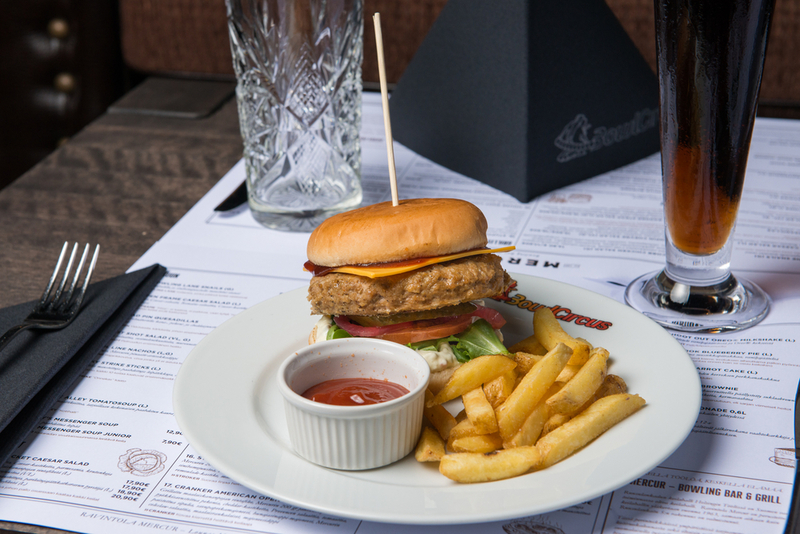 BowlCircus’ kitchen offers you small snacks and bigger meals, such as salads, burgers and of course children’s menu. For groups and events we offer many kinds of extensive menu choices – for example breakfast, lunch and dinner buffets. Are you the king of 8-ball? Come take a thrilling match with your friends! Don't forget the opportunity to relax after an eventful night of bowling. Enjoy our famous burgers before, during or after bowling. Make a reservation easily online. Private events according to agreement, the prices are valid until further notice. The prices of bowling lanes and billiard tables include 10% VAT, other prices include 24% VAT. BowlCircus bowling centers reserve the right to change the prices. At BowlCircus bowling centers you have a great possibility to combine glow bowling with conferences and other private events. You can choose a package including everything from bowling lanes to food or just a menu to enjoy during bowling or sauna. Every day is a great day for glow bowling! See opening hours here. We can't wait to see you!